This is the best red chili I've made so far. My aunt's white bean chili is still my personal favorite. 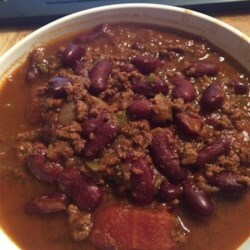 The brown sugar really set this chili apart for me while the spicyness was still there.